The City of Medina, also the seat of county government, is centrally located in Medina County. 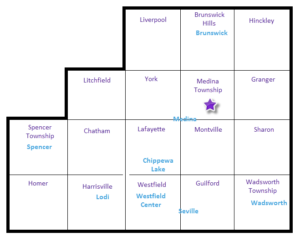 Approximately 27 miles south of Cleveland and Lake Erie and only 18 miles west of Akron, Medina boasts over 100 industries and several hundred acres of available land for industrial growth. Many international firms such as 3M, Owens Corning and Sealy Matress make Medina their home. Available industrial sites include those located in the Medina Industrial Park and Progress Industrial Park, both situated just west of the center of town. 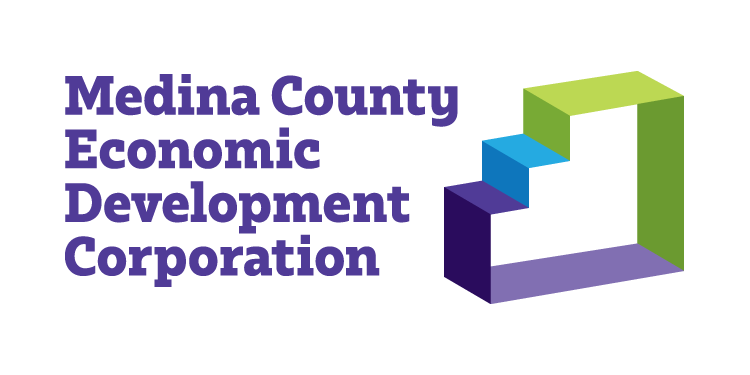 The City of Medina recently completed a Cooperative Economic Development Agreement (CEDA) with York Township that has added nearly 300 additional acres to Medina’s industrial land inventory. This picturesque city is best known for its historic small-town charm and classic Victorian architecture. Looks can be deceiving though, as Medina is a very progressive and future-oriented community – one that continually encourages business and commercial growth. This growth has resulted in a full-service hospital, highly rated school system, and a variety of housing options. Completed in 2002, Medina has a state-of-the art high school, cultural arts and recreation center complex that offer many benefits to students and residents alike. Medina’s optimum quality of life is not a well-kept secret. Whenever you first experience Medina, it’s certain to be a memorable occasion. One doesn’t forget the historical beauty of our restored architecture, the friendly hometown atmosphere or the healthy sense of community. Medina’s core elements: education, government, and industry have welcomed the challenge of phenomenal growth and are prepared to greet the future with an even stronger Medina. The Greater Cleveland Partnership and the Greater Akron Chamber of Commerce have designated the City of Medina a Business Friendly Community. For more information on Medina, please visit the City of Medina and the Greater Medina Chamber of Commerce.